WASHINGTON - People are inventing so many new, legal ways to get high that U.S. lawmakers can't seem to keep up. The drugs are often sold at small, independent stores in misleading packaging that suggests common household items like bath salts, incense and plant food. But the substances inside are powerful, mind-altering drugs that have been linked to bizarre and violent behaviour across the country. Law enforcement officials refer to the drugs collectively as "bath salts," though they have nothing in common with the fragrant toiletries used to moisturize skin. There are no back alleys or crack houses in America's latest drug epidemic. The problem involves potent substances that amateur chemists make, package and sell in stores under brands like "Ivory Wave," ''Vanilla Sky" and "Bliss" for as little as $15. Emergencies related to the drugs have surged. The American Association of Poison Control Centers received more than 6,100 calls about bath salt drugs in 2011 — up from just 304 the year before — and more than 1,700 calls in the first half of 2012. Mark Ryan, director of the Louisiana Poison Center, says there are so many different drugs out there that it's almost impossible to know what people have ingested, or how long the effects will last. There are no official federal estimates on deaths connected with the drugs, many of which do not show up on typical drug tests. But police reports have implicated the drugs in several cases. Packets of "Lady Bubbles" bath salts, for instance, were found on Sgt. David Franklyn Stewart last April after the solider shot and killed his wife and himself during a car chase with law enforcement in Washington state. 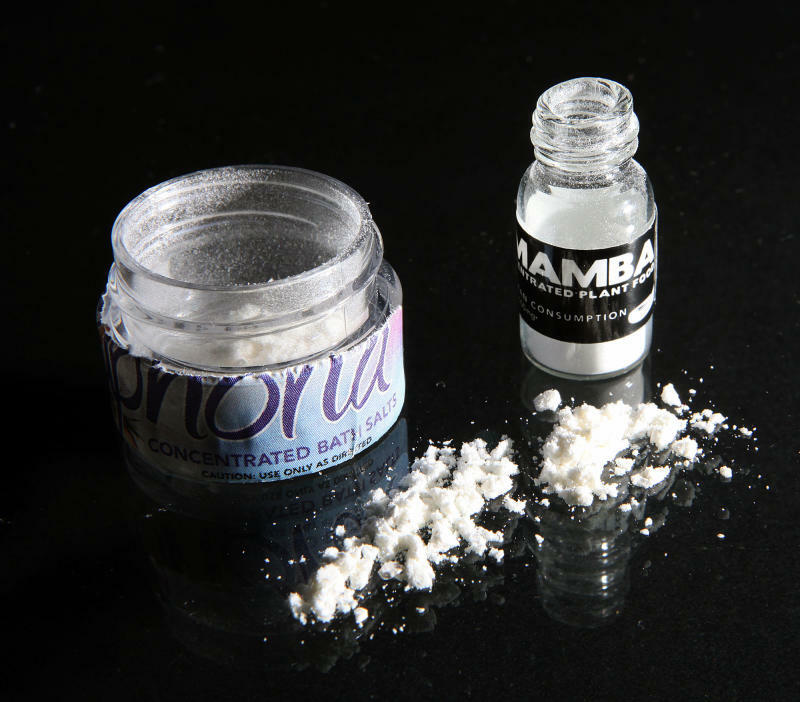 Another death involving bath salts played out in Louisiana. Police reported that Dickie Sanders shot himself in the head Nov. 11, 2010 while his parents were asleep. Cookeville Regional Medical Center in Tennessee has treated 160 people suspected of taking bath salts since 2010. Dr. Sullivan Smith, who works there, recalls one man who had been running for more than 24 hours because he believed the devil was chasing him with an axe. By the time police brought him to the hospital, he was dehydrated and covered in blood from running through thorny underbrush. "We're seeing extreme agitation, hallucinations that are very vivid, paranoia and some really violent behaviour, so it's a real crisis for us," Smith said. "We sedate the living daylights out of them. And we're talking doses on the order of 10 or 20 times what you would give for a painful procedure." Associated Press Writer Vicki Smith contributed to this report from Morgantown, West Virginia.